Recently, I had beery evenings over three successive nights that took in three very different kinds of pub, almost a tour of London’s pub history in a way. It got me thinking about the internal layout of pubs and how this too has changed over time. I mean, mainly it got me thinking about how nice beer (and socialising with friends over beer) can be, but this isn’t a beer blog, so back to pub interiors. Figure 95. 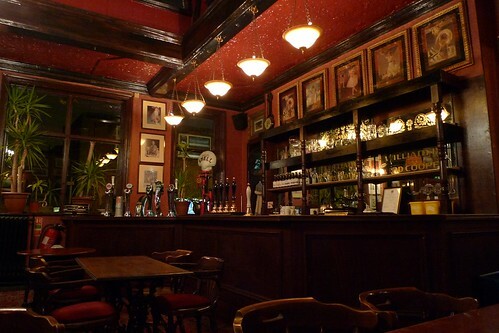 The bar in the back room at The King William the Fourth (Leyton E10).